Wouldn’t it be nice to be able to leave a room knowing that no one will say anything unkind about you? Or to not need to worry that a co-worker’s coolness is because she got wind of your comments about her over lunch last week? We can preserve a friend’s marriage with our wise counsel. Or we can shred the self-worth of a child with criticism, or incinerate a friendship with gossip. We all fail daily at being consistently Christ-like in what comes out of our lips. Is there any way to improve what comes out of our mouths? We all can see the wrongness of slander—telling lies about others. But believe it or not, we can also do great damage to others without lying. In Jewish thought, lashon hara (la-SHON ha-RAH – having an “evil tongue”) doesn’t just include telling lies about others. In fact, this phrase is more commonly used to describe the practice of telling negative truths about others that are unnecessary and damaging. 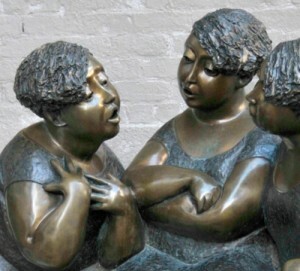 Lashon hara is recounting to your co-workers about how the boss messed up his presentation. It’s pointing out to your wife how poorly the worship leader sings. It’s complaining to your sister that your husband forgot your birthday yet again. Any sentence that starts with “She’s a great person, but it’s annoying when she…” is always going to end in lashon hara. This habit tears down friendships, demeans others, and undermines trust. There are, of course, a few times when a person needs to relay damaging information, but outside of that, this kind of negativity is frowned upon in Jewish law. We often justify our words with, “Well…I didn’t say anything untrue!” But the Golden Rule states that you shouldn’t do to others what you wouldn’t want done to you. If you’d be hurt and embarrassed by having your own flaws revealed, you shouldn’t share those of others. Sharing negative information is generally only permitted in situations where people may be adversely affected if they make a decision without it. For instance, if a friend is considering going into business with someone you know is dishonest, you should tell the friend. But even then, you should share only facts you know and not unfounded hearsay. Why do we gossip about others? One major reason for lashon hara is our desire to elevate ourselves by tearing others down. Paul has a solution to this problem: “Do nothing out of selfish ambition or vain conceit, but in humility consider others better than yourselves. Each of you should look not only to your own interests, but also to the interests of others.” (Philippians 2:3-4) If we genuinely care as much about others as ourselves, we will try to protect their reputations as much as we do our own. Relieved, the man soon completed the odd errand. Would such a simple gift be all that was needed to atone for this sin? 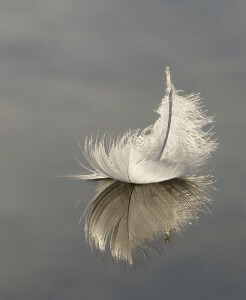 It was a windy day, and the breeze picked up the feathers, wafting them over the housetops and into the fields. “But that’s impossible!” exclaimed the man. LaShon Hara is a terrible habit. God our Father has been convicting me of this sin. Complaining to others about my husband is another part of this terrible sin. So Please Holy Father forgive me and help me to turn for this and never again toward it. In Yeshua’s precious Name. Linda and Rena, thanks for sharing. It’s one of those things that people hardly think about until they see the damage. Learning more about it has really convicted me personally. Jan, my upcoming book, Walking in the Dust, has study/discussion questions at the end of each chapter. It should be very good for group study. A discussion guide for Sitting at the Feet is also available. You can download a free pdf of it at this link. This blog post was very good for me to see. As a high schooler, I find that we do this a lot to others in a way we think we are boosting ourselves up and being better than someone else but it tears both of us down. The thing is, we are creating a habit by speaking this way that will only hurt us the more we do it. Thank you for sharing this! I think that it would be nearly impossible to find a person who has not at one point in time Lashon Hara, or spoke “negative truths” about someone else. I think that everyone can relate with this. By habit we are selfish beings and Lashon Hara is a very easy way to lift ourselves up. I think that Paul gave good advice when he said “in humility consider others better than yourselves.” However, I think that this is very difficult. We are so used to thinking about ourselves first that completely changing how we think would take a lot of time. As illustrated in the story of the man and the rabbi it is easy to speak negatively about someone else and cause irreparable damage. I think this is something that we must consciously think about every day. I am glad that I have a chance to read this article. I just want to say thank you so much for sharing this article. This is one things that always happened in our daily life. Sometimes we like to gossip more about what happened in others people life. We know that it was a bad things to gossip and complain to others but we still doing it, we like to pointed down instead of saying in positive way. This article thinking about myself. I think that it is important that wee have to think before we speak, after we said things we can’t take it back or erase them back. It will going to last forever and hurt the others person. God love us even when we run away from Him. God give us tongue to praise to Him, it was not for gossip to others. I also believe that LaShon Hara is a very hard habit to break and it hurts other peoples feelings. I also think that this is something that everyone struggles with because it is such an easy thing to do. Like you said, sometimes damaging information needs to be told to someone who would be negatively affected if they made a decision without knowing the truth. Also, we should only tell them what we for sure know is true instead of what other people say. I love the way you organized your thoughts here. You made the forms of gossip so clear. The point that you make that “we can do great damage to others without lying”. It’s so true. People, including myself, make negative comments all the time just to boil up some conversation. This is something that I think about often before speaking, because it’s something that I absolutely dislike. Hearing negative truths about others is not interesting to me, and I feel sad when I hear them. I strive to be the person that does not get actively involved with LaShon Hara. Thanks so much for your thoughts!! I love what you write and the way you think. I am so glad it is only everyone else that is guilty of LaShon Hara. I am so good I never need to malign another to elevate myself and make myself feel better. Of course this is a great lie I tell myself. The truth is far more startling and requires brokenness and a humble repentance before the God that will call me to account for every word. Thank you for this teaching. I will remember LaShon Hara and fight the good fight to eliminate it from my life a sin that needs to have, like so many others “no hint” present. Bruce and everyone, thanks for your comments. It’s an ongoing battle to reign in our tongues, isn’t it? I recall hearing a little boy define love: When someone loves you, you know that your name is safe in their mouth.